You know that feeling when the world gets too much and all you want to do is get away? When work is causing premature grey hairs, relationships are unraveling and the pressure of familial commitments starts to build? That was me one month ago and the only remedy I could come up with was to run. Run fast and run far, taking time to be selfish and do something for only me. I spent every free moment I had researching places to travel to that would involve lots of sand and sun, landing on the South of Spain for a seven day getaway. I was days away from booking when I came across my girl looking for a travel partner to Hawaii. A few DMs later we had planned our trip and I was ready to soak up sun and ocean breezes for nine glorious days in Oahu, Hawaii. The trip started off nice and slow. We both flew into Hawaii late on the first day so we decided to take a walk around our end of honolulu. 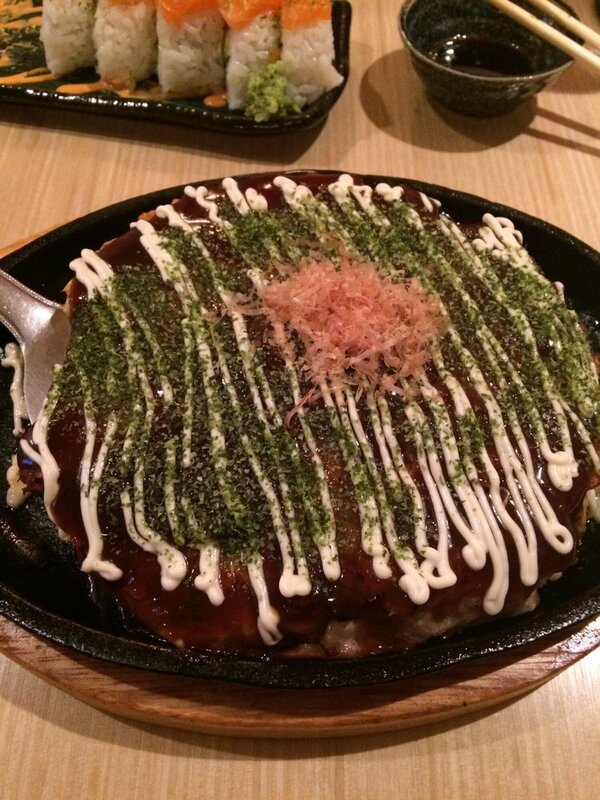 We stumbled on McCully Shopping Centre where we had the best dinner at Osaka Teppanyaki Kawano. It's located right behind the elevator and they don't have a noticeable sign making it easy to miss but it is definitely worth it if you ever pay this place a visit. The restaurant is small with only a few tables and a bar area but has a real homey feel to it. 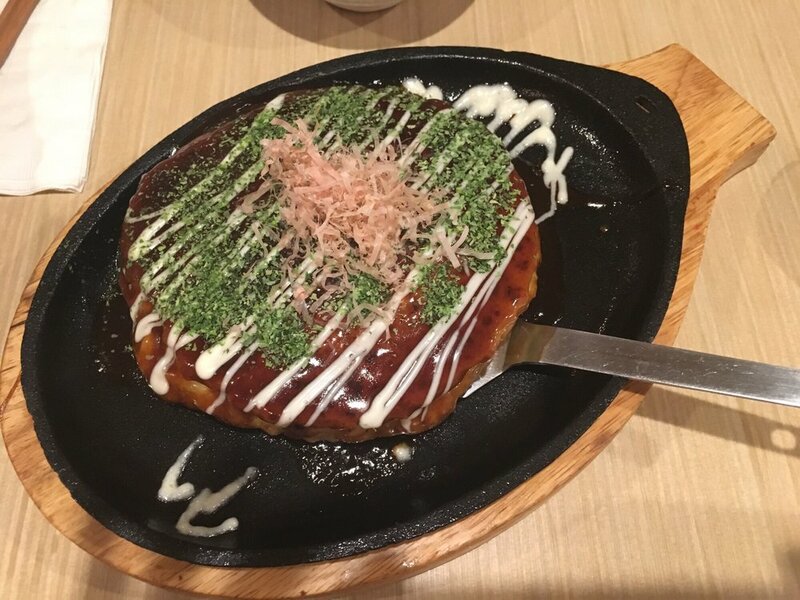 If you visit I would give the okonomiyaki with pork a try - we saw some guys sitting at the bar order it and they let us try a piece which we then had to order! So good! Confession: we reheated it and had it for breakfast along with some fresh fruit the next day! The next few days in Oahu were a whirlwind of pristine beaches, waterfall hikes, historical monuments and amazing food. In order to mitigate costs during the trip, the first half was spent at an Air BnB which was such a good find (here is the link). 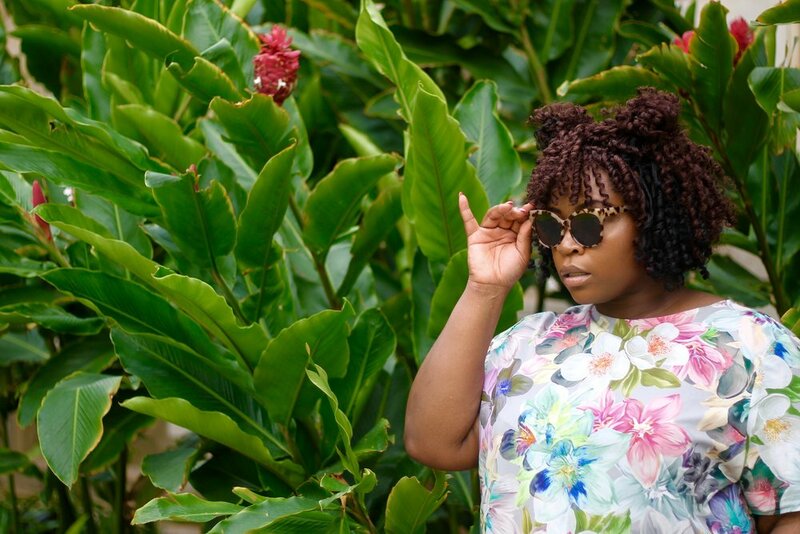 This is one of my biggest tips when planning my trips - I book Air BnB accommodations for the first half of my vacation and splurge a little by booking a resort or high end hotel for the last. The way I look at it, I have the most energy at the beginning of the trip so I am more open to sight seeing adventures and chasing my wanderlust up mountains and through waterfalls which will keep me away from the Air BnB space. The tail end of my trip is always about rest and relaxation, taking advantage of hotel amenities like spas and breakfast buffets. You get the best of both worlds, saving money and returning home well rested. 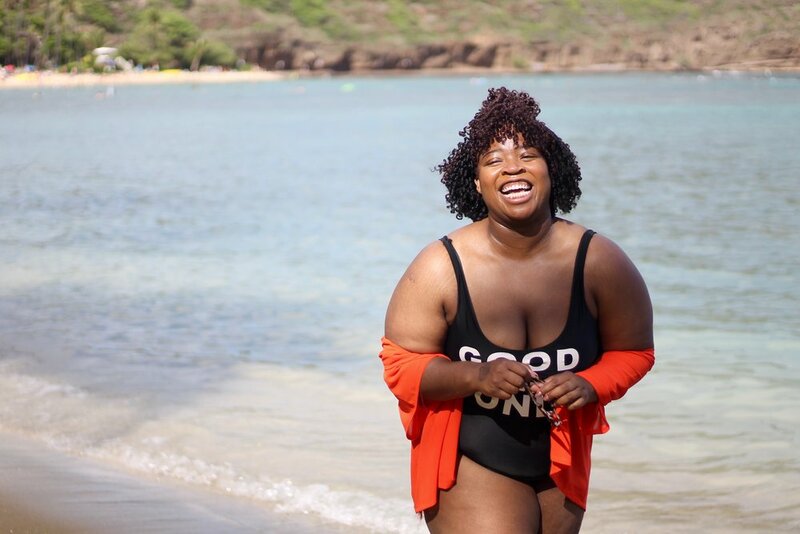 Before I get into the list of incredible beaches, activities and food that was had on this trip, I feel the need to preface it all with a clear message: I do not care what anyone thinks of my body. 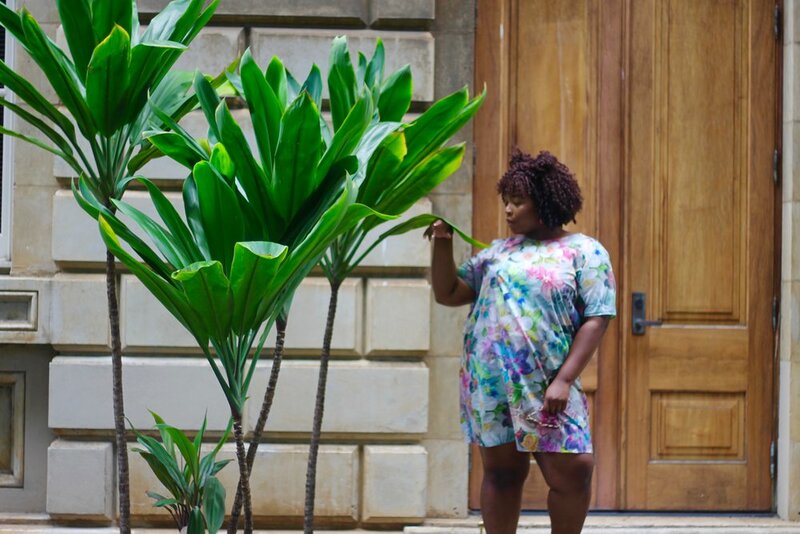 I know this is a rather aggressive stance to take so early on in a blog post about travel; however, there are images coming up that will most likely bring about individuals who think commenting on bodies belonging to others is their vocation. Mic check: it's not. 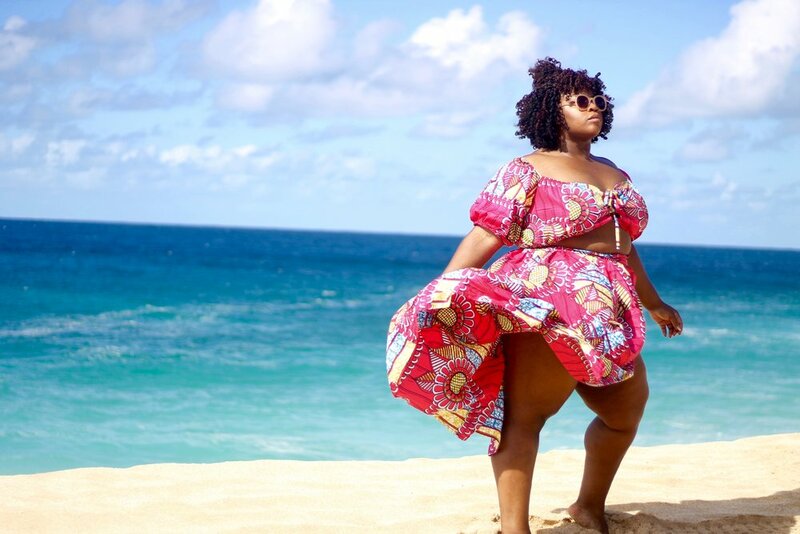 Being plus size does not negate one's ability to enjoy travelling, seeing the world or wearing bikinis on public beaches. 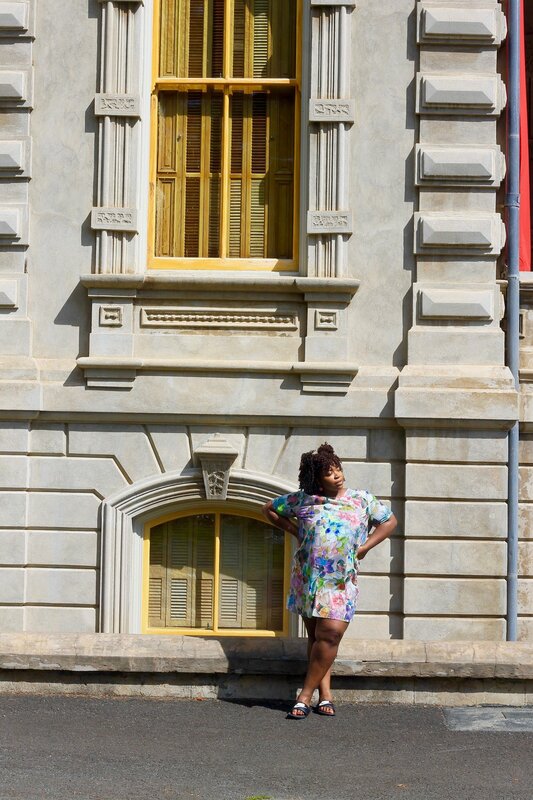 Travel is not a leisure reserved only for those who meet societal body standards or for those who are able bodied. 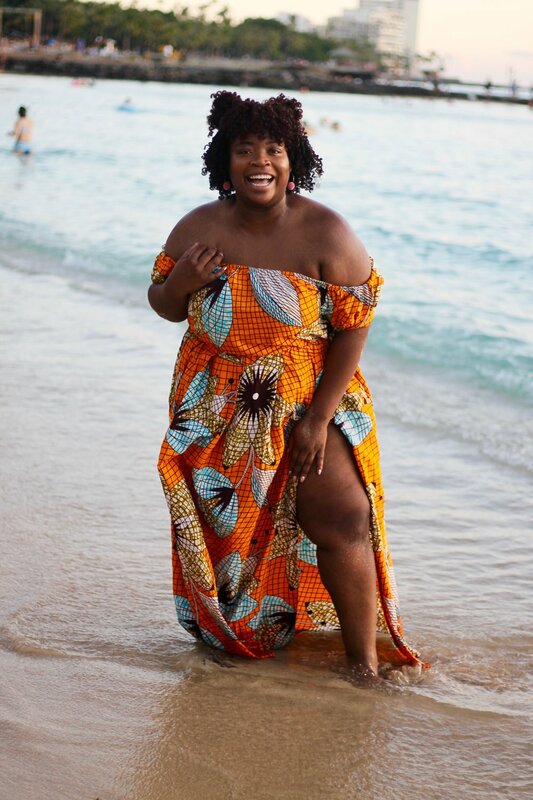 I would be lying if I said that I wasn't nervous to sit on a beach in a daring swimsuit but I quickly realized that I had to shed these preconceived notions. I hiked up a mountain and pulled off a photoshoot worthy of the pages of Swimsuit Illustrated in front of a group of hikers in a stupid hot bikini and it felt great. I embraced my body so much through out this trip and left with a renewed sense of body love. So, for anyone who wants to come through and leave their two cents please kindly see yourselves out. This space does not belong to you nor are your opinions welcome here. Now, with that out of the way, here are the highlights of a trip to paradise. Waikiki Beach is a complete tourist trap so be prepared. This 2 mile stretch of sand is cut up into 8 sections and is a central hub for most of the ocean view hotels in the Honolulu area. If you are looking for a spot to surf, wake board, or partake in any beach activities, this a solid area to do so, especially because you will be able to find a group of random strangers friendly enough to join in. 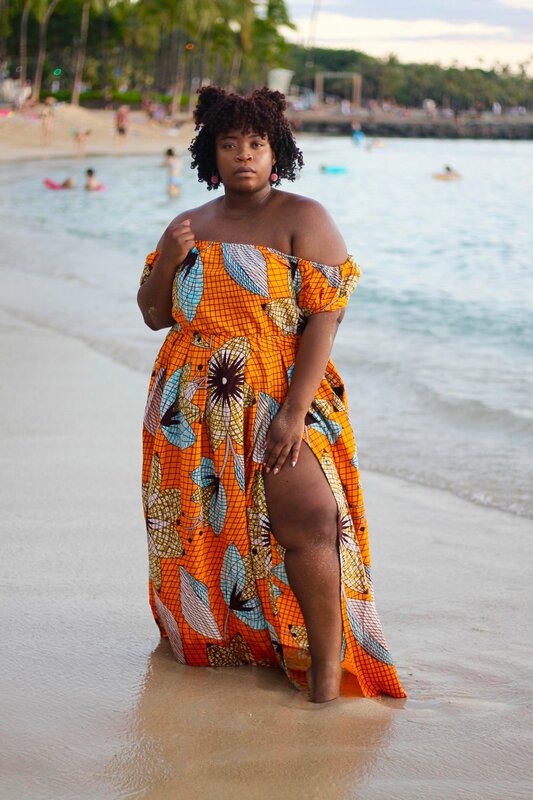 If shopping is more up our alley, Waikiki Beach is just off Kalakaua Avenue where you will find an overwhelming amount of brand name stores to see you busy for hours. 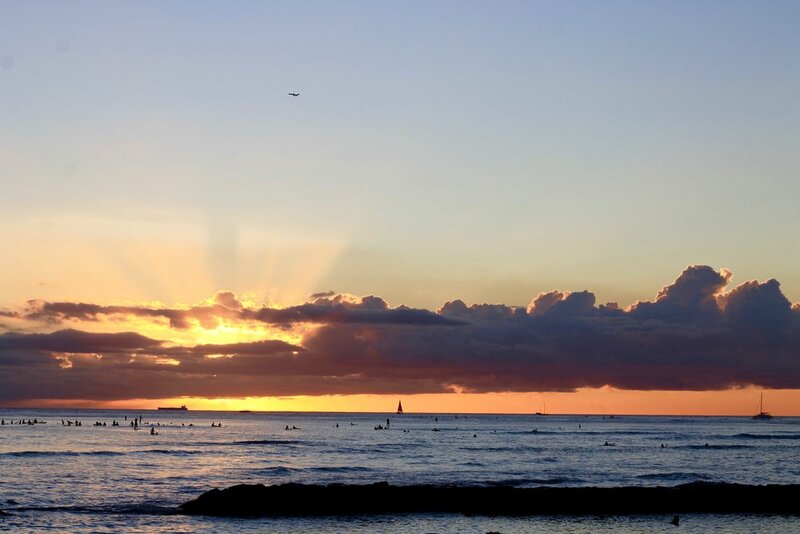 But if there is one thing that you must do at Waikiki beach, it is catch the sunset.It is unlike anything I have ever seen before and the images don't do it enough justice! 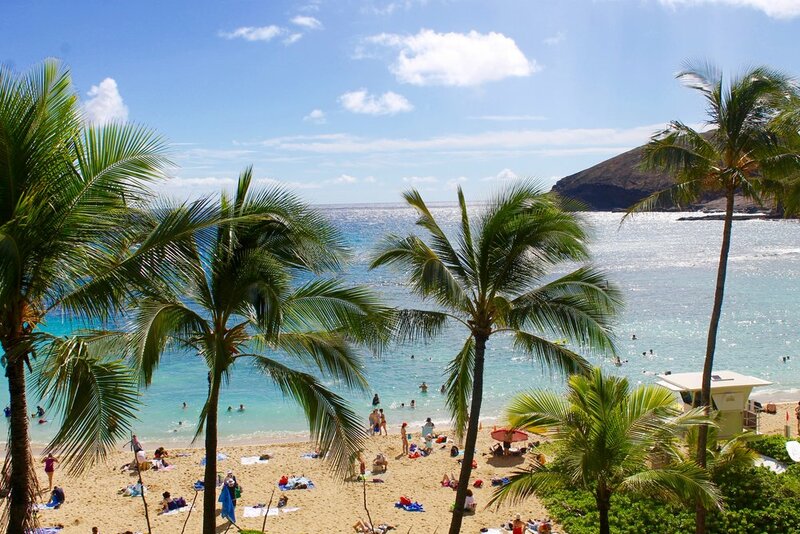 Hanauma Bay is a state park and a protected marine life conservation area. It boasts the best snorkelling experience on the island with its pristine marine life and coral reefs. This area is so protected that first time visitors have to sit through a short 5 minute video explaining the importance of preserving the bay. 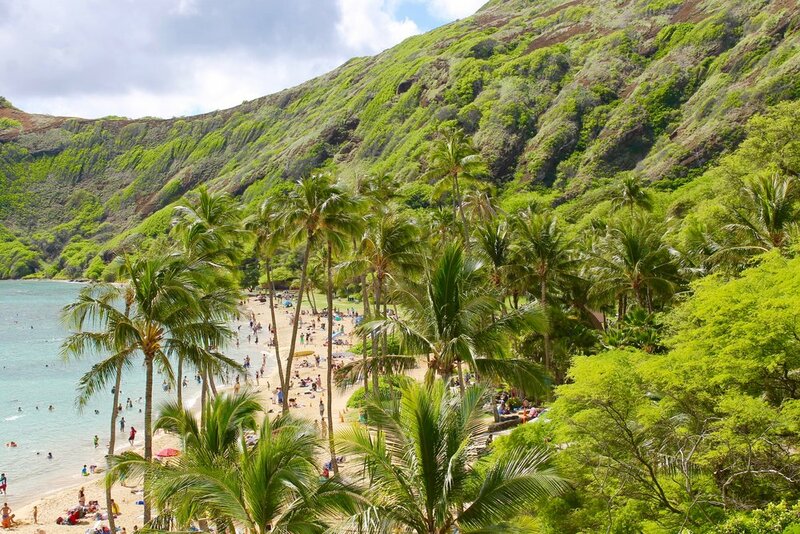 Hanauma Bay Park is closed every Tuesday and there is a $7.50 entrance fee. I would highly recommend visiting this bay to experience secluded areas of the beach and swim in crystal clear water. 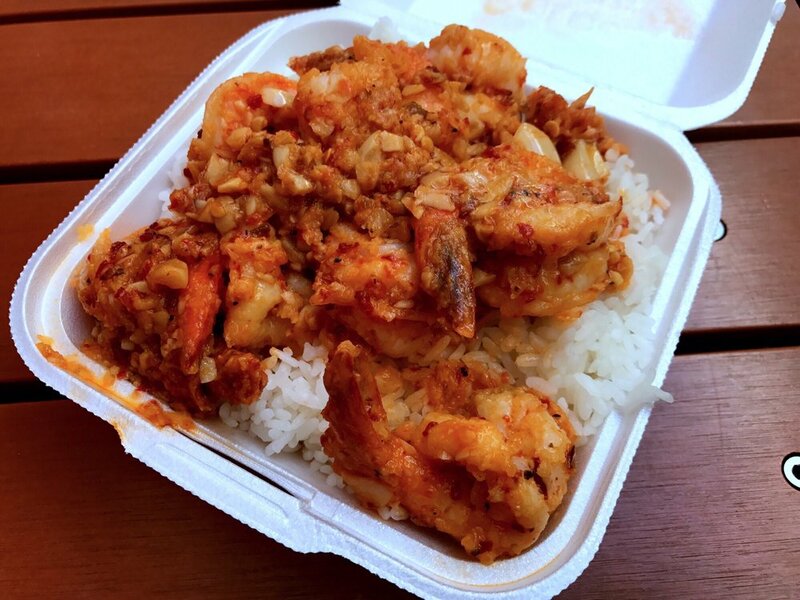 While walking through some of the street of Waikiki a tall man jumped out from nowhere and declared that he knew where to get the best garlic shrimp in the area. After getting my heart rate down and slipping my pepper spray back into my purse, we followed him into a tiny hole in the wall spot with less than 5 tables and a small bar called Sam's Kitchen. It was nestled in an alley way and served up the best food we had during our entire trip. 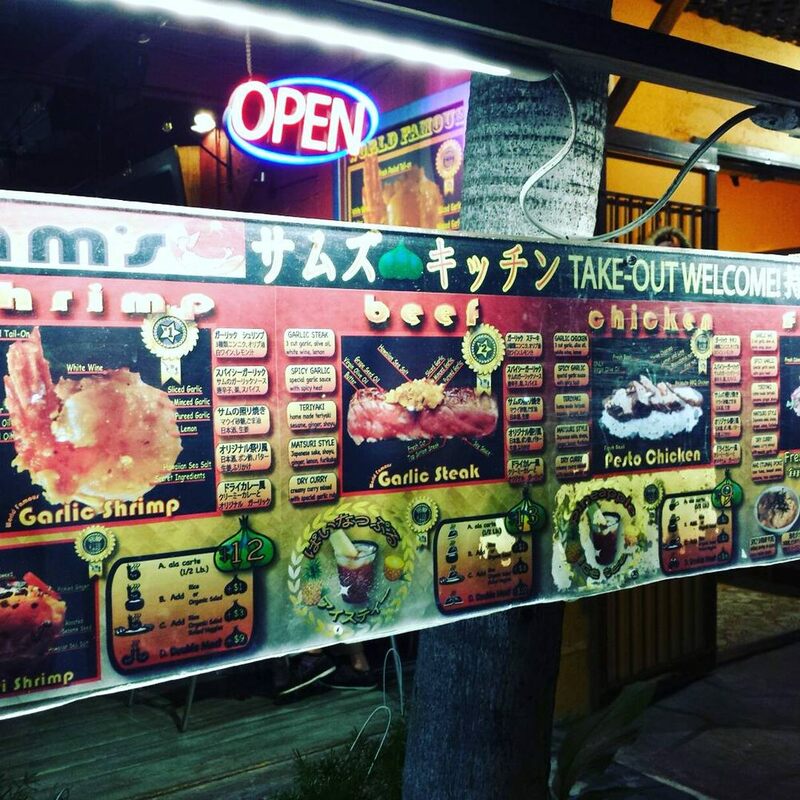 The spicy garlic shrimp and spicy steak was unreal and the atmosphere was so chill and laid back. The best part was that they allowed you to bring in your own liquor so we strolled next door, grabbed a bottle of Prosecco and settled in for an amazing night of good food and even better company. 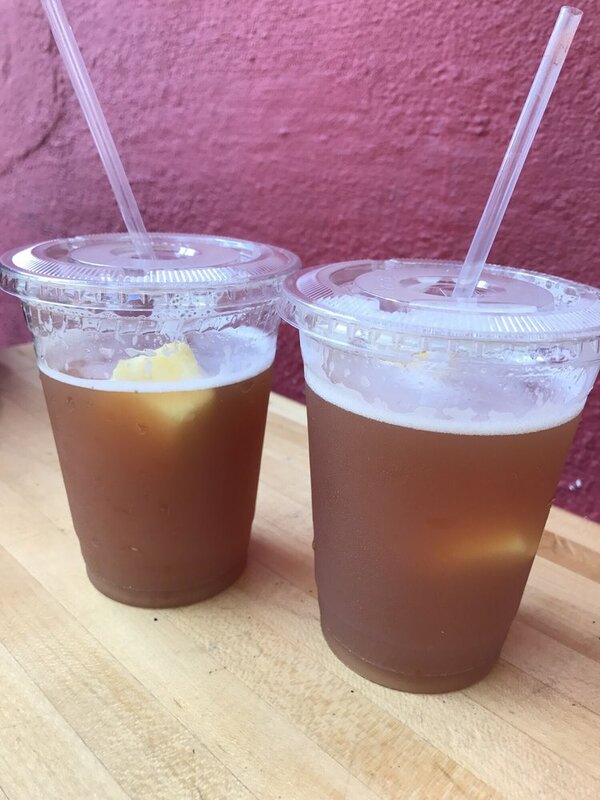 Insider tip: you have to try their special ice tea which has a chunk of pineapple and goes great with some rum! At the bottom of the old Paradise Park building at the top of Manoa Road is a trail that leads into the dense rainforest and beginning of the Manoa Falls hike. The hike is about 45 minutes to an hour through dense vegetation and bamboo patches. There are steep points during the hike and it can be very slippery when it rains with the amount of mud that accumulates on the trail. I suggest wearing trainers or hiking shoes when tackling this hike but I promise it is all worth it when you get to the top and see a 150 ft cascading waterfall nestled into the heart of the rain forest. The hike is completely free, with no admission to the park, and you can be sneaky and jump into the waterfall pool once you get to the top to cool off! 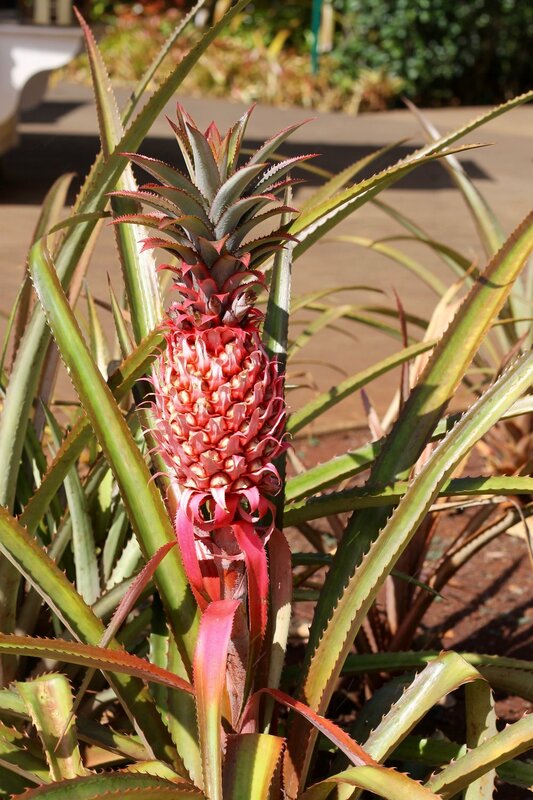 It would be unforgivable to visit Hawaii, pineapple capital of the world, and not visit the Dole Plantation. This colourful paradise filled with multiple types of pineapples (including pink ones!) and exotic vegetation was one of the highlights of the trip to Hawaii. It is a great location for families since the outdoor space boasts train rides and hidden paths to explore. I learned that my name translated into Hawaiian is Ku'uipo and I had the most delicious, heavenly, nectar of the Gods known as Dole Whip. It was an all around amazing experience and I am still dreaming about pineapple Dole Whip! We were on a serious waterfall chasing mission during the trip so we jumped o every opportunity to visit as many as possible. Waimea Falls is a more well known and accessible waterfall on the island. The walk into the waterfall is through a park which boasts beautiful, lush gardens and centres for learning about Hawaii's cultural roots. We were provided life jackets and were allowed to dive in under the falls. There was a spot right by the falls were the rocks piled up and allowed you to stand right under the cascading falls. I literally have no information on this spot aside from knowing that the shrimp was so fresh and sweet. We were brought to Fumi's during an island-wide tour for a lunch break. It is located off the side of one of North Shore's busy highways and seems to be a cult favourite on the island. Now, at this point in the trip my loyalties lay solidly with Sam's spicy garlic shrimp, but Fumi's threw down too. If you can find this little spot on Kamehameha Hwy, it is a great location to grab a quick bite while you take in the Island. 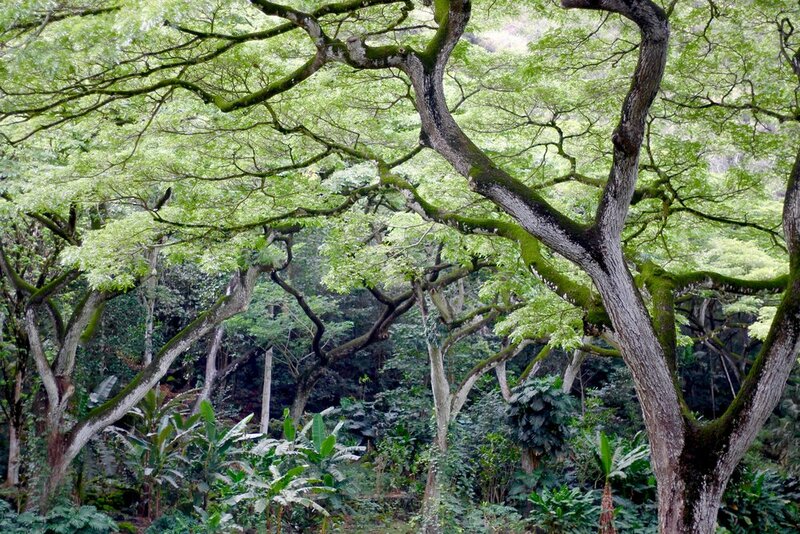 Macadamia nuts and Kona Coffee are two of Hawaii's signature crops. We were lucky enough to visit Tropical Farms and see where both these crops are harvested. As a big coffee fiend, it was amazing to taste Kona coffee and to learn about how it is farmed on the island. Along with the coffee, macadamia nuts were sold in a dizzying variety of flavours for a fraction of the cost found in grocery stores outside of Hawaii. If you are a baker or need a spot to buy gifts while on the island, this should be on your list of places to visit while in Oahu. 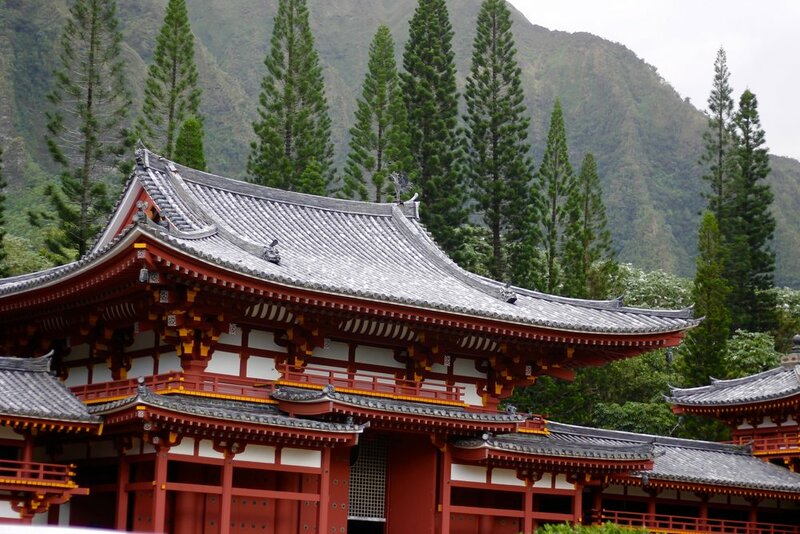 The Byodo-In Temple is located at the foot of the Ko'olau Mountains in Valley of the Temples Memorial Park. It was established on June 7, 1968, to commemorate the 100 year anniversary of the first Japanese immigrants to Hawaii. The Byodo-In Temple in O'ahu is a smaller-scale replica of the over 950-year-old Byodo-in Temple, a United Nations World Heritage Site in Uji, Japan. It is rich with history, and clocked in an air of serenity that works to transport visitors to the mountains of Japan. The entire landscape is so different from the rest of the island and it is easy to forget you are a stone's throw away from white sand beaches. I'm going to be honest with you all - we found a secluded beach called Magic Island close to the hotel so that we could take thirst trap pictures. That is the extent of these images. Enjoy! We decided to rent a car and drive to the North Shore on our own. My girl was in search of some local surfing guys and I was down to find a secluded beach that the locals kept hidden. The first beach we found in North Shore was a bit of a let down - the waves were harsh and the beach was more for the athletes than for visitors who wanted a secluded beach. Luckily, we got some insider information and were pointed toward Ke Iki Beach. After struggling through some dense bushes and questioning whether we had been lied to, we walked onto the most stunning beach I have ever experienced. The beach was fine, white sand and the ocean was a vibrant blue gradient that went from turquoise to a deep blue that blended in with the sky. The sunset was stupid ridiculous, framed by the mountains and the water below it. We sat in silence and watched that sunset for close to an hour. It was unreal. 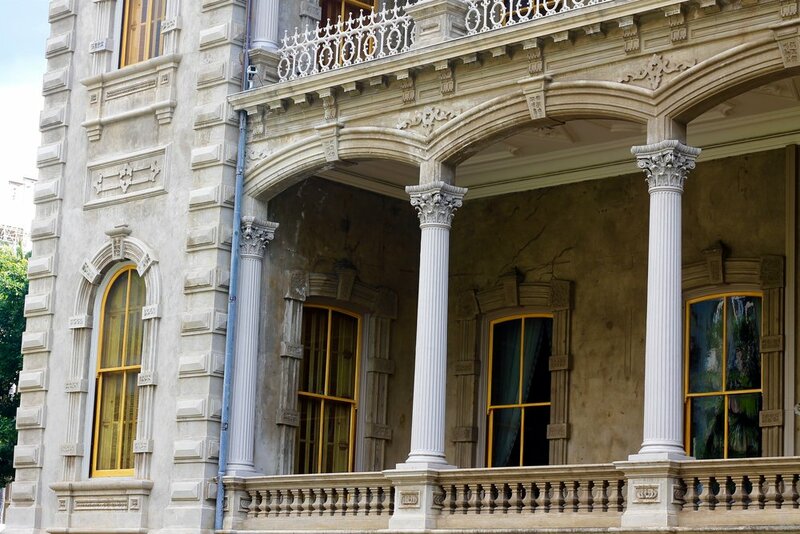 On our last few days on the Island, we decided to take in some historical buildings in the downtown Honolulu area. 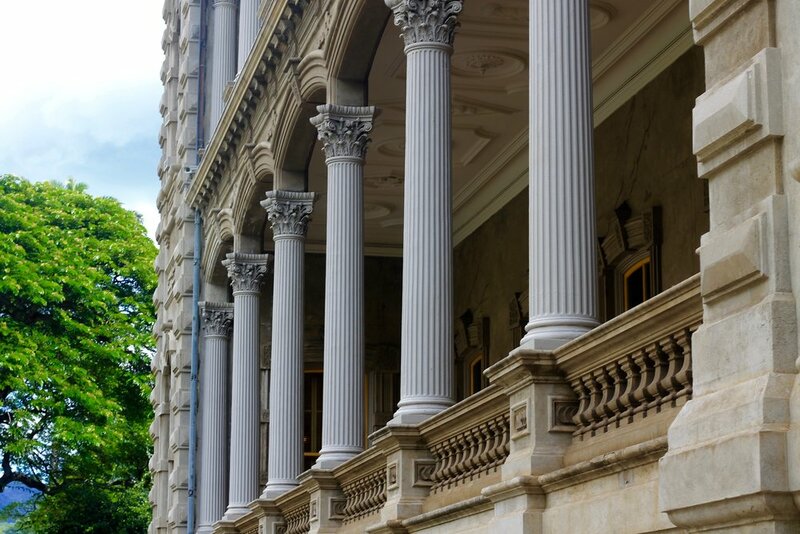 These included Iolani Palace (the home of Hawaii’s last reigning monarchs and the only official royal residence in the United States), Aliiolani Hale (the building with the iconic statute of King Kamehameha featured on Hawaii 5-0) and Honolulu City Hall. 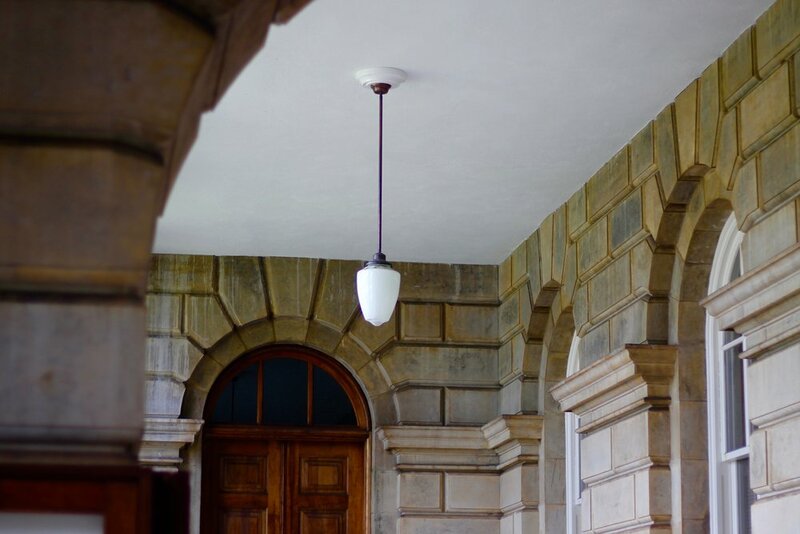 Below are some snapshots of the historical buildings and Hawaiian architechture. Oahu, Hawaii was a paradise I didn't know I needed until I arrived. My mental state before this trip was negative and I could feel myself retreating into a dark place. 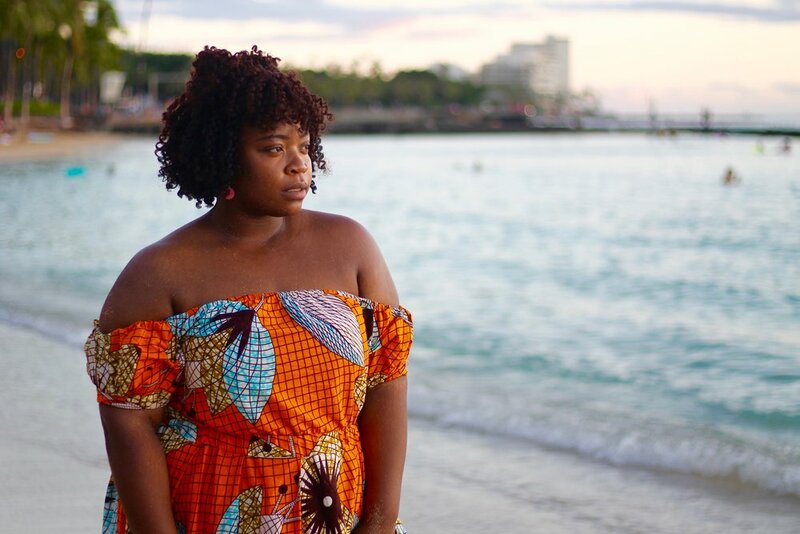 I was stressed, sleep deprived and worried about the certainty of many things in my life; however, spending 9 days under the sun, swimming in ocean waters and being immersed in nature one could only find in Hawaii was a cure I didn't know existed. Traveling has always been a huge part of my life but this trip was the fist time I saw travelling as life enriching and a necessary part of who I am. 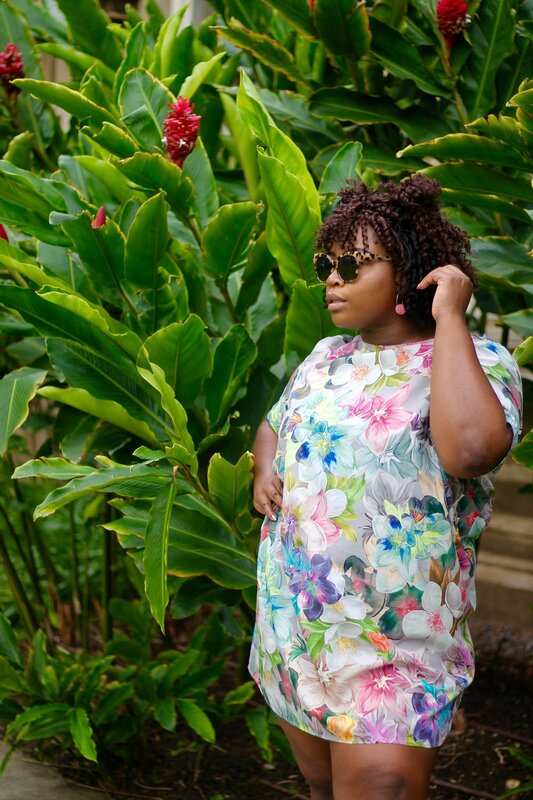 It didn't matter than I was plus or that I was a visible minority - all that mattered was that I was blessed enough to be a part of the rich culture and dive into the Hawaiian way of life. Huge thanks to my travel partner turned photographer Selina who was up for every adventure and pushed me out of my comfort zone. Hawaii, this was the first but certainly not the last time I will be seeing you. Mahalo for being so kind and wonderful to me. Until next time, love & light.